Foxton Beach is located five kilometres west from Foxton township and also has a small beach community and good facilities. The beach is home to Foxton Surf Life Saving Club and they provides a Lifeguarding service during weekends over the summer months and there is also a professional Lifeguard service during the primary school holidays over the summer peak. This beach, like Himatangi is popular with Manawatu residents during summer. The beach has hard sand and two wheel drives can drive on it. 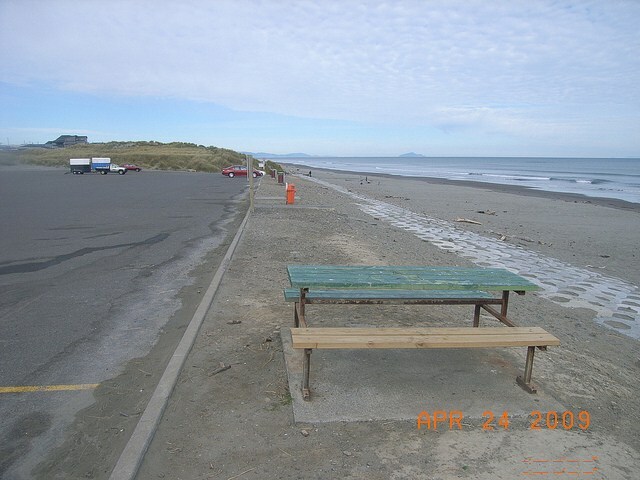 Foxton and Himatangi Beach users have easy access to parts of the beach that would otherwise not be frequented. Foxton Beach is safe during small swells but can be dangerous in waves over a metre and beach users should always approach local Lifeguards for advice. Swimming is popular during the summer months. The beach slopes gently into the ocean, but there is a trough around 30 metres from shore before reaching the second bar. The beach commonly has a long shore drift and is very uncommon to have no waves at all. Even in small swells the surf breaks out some distance with deep troughs between bars at higher tides. Swimmers should swim between the flags set out by the Foxton Surf Life Saving Club. The club provides patrols on summer weekends and also has professional lifeguards during the six week school holiday period. 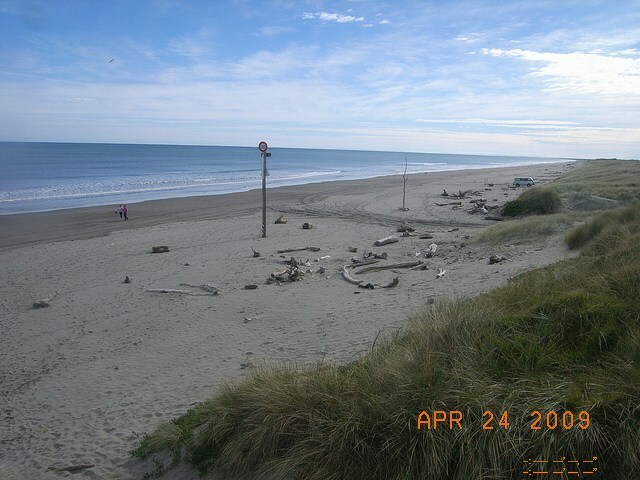 Foxton Beach often has surf but it is generally not a high standard for surfing. Foxton is a beach break and bars form all along the beach but break unevenly. Onshore swells are the most common and these are generally very messy. 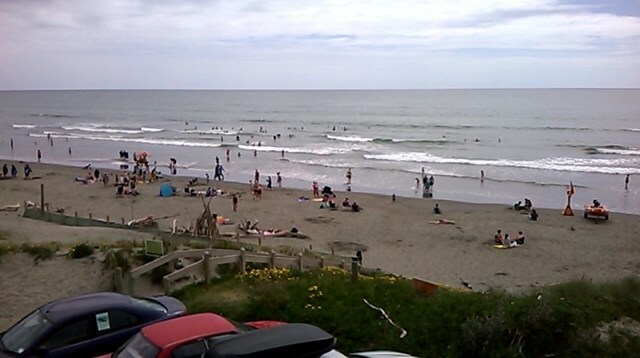 Foxton Beach has a good base of surfers that frequent the waters because it is so close. The beach is our favourite playground, but it can also be a dangerous place. Learn about the hazards at Foxton Beach and be prepared so you and your family can enjoy the sun, sea and sand safely this summer. Foxton Beach is a patrolled beach. Foxton Beach is patrolled on Saturdays, Sundays and Public Holidays from 12:00pm to 5:00pm between 24 November 2018 and 11 March 2019. A Regional Lifeguard Service is provided Monday to Friday from 11:00am to 6:00pm during 17 December 2018 to 25 January 2019. Foxton Beach is located five kilometres west of Foxton Township and 50 kilometres southwest of Palmerston North. On arrival to the beach you come to a large gravel car park capable of accommodating 300 cars. 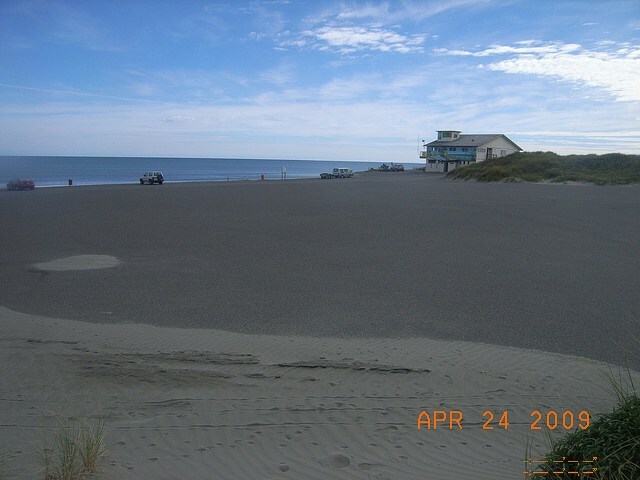 The car park has been cut from the foredune and Foxton Surf Life Saving Club is located at the northern end of the car park (15 metres from the beach). The beach has hard packed grey sand. Two wheel drives can enter the beach just north of the Surf Life Saving Club and safely drive along it from mid to low tide. The beach is backed by large sand dunes that extend for around 100 metres. A small residential community is based behind the dunes.